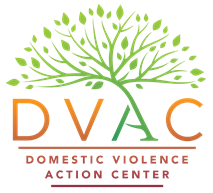 The Domestic Violence Action Center (DVAC) is committed to ending domestic violence and other forms of abuse in the State of Hawaii through leadership, prevention, legal services, individual and systemic advocacy, and social change work. Pulama I Ka Ohana (PIKO, “Cherish the Family”) is a DVAC program that focuses on children and parent survivors of domestic violence on the island of Oahu, as they experience, witness, or heal from trauma. PIKO services creatively combine trauma-informed models with cultural practices from our local context—from Native Hawaiian culture as well as Filipino, Japanese and other cultures, to best serve diverse island families. The program goals include alleviating trauma, fostering safety and self-sufficiency, and assisting families to rebuild relationships badly damaged by violence and abuse. To meet these goals, PIKO family assistance counselors and attorneys provide: domestic violence education, risk assessment and safety planning, crisis support, client advocacy, survivor support groups (for adults, teens, and children), therapy (individual and family), play therapy (for children), court accompaniment, legal representation, and referrals to other community services. PIKO staff and external evaluators track changes in the safety, knowledge, confidence, behavior, social connections, stress management, communication, and coping skills of children and their parents. A video from PIKO interviewing families in the program is available on Youtube here: https://youtu.be/1YifTYh6bQ8.